When the wild teenage escapades of young Corinna Schopenhauer and her brother Max are discovered, their cruel and autocratic father exacts a stern retribution. 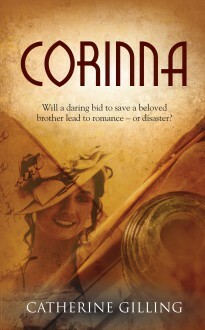 He sends Corinna to live with a strict aunt and forces Max to join the Austrian army. Soon Corinna learns that her beloved brother has deserted and is on the run. Terrified that he will suffer the ultimate penalty, she sets out on a desperate mission to confuse his pursuers. But Max’s apparent desertion is not all it seems, and when Corinna meets the devilishly handsome Etienne and his friend and fellow officer Lietner, she finds her ingenuity tested and begins to realise that there is much she does not know about her noble family, her past – and herself. A stirring romance set in Austria during the years of the Habsburg Empire.